Memorial Day Weekend signals the beginning of summer, sand, sun and surf. It is also a day to remember all of those who have fallen while serving in the United States Armed Forces. My Uncle Milt and Grandfather were members of the U.S. military, and my father served for his home country, as well. It is no small task to risk one’s life for the liberty and lifestyle of others – the sacrifice is almost unfathomable to me. I commend and appreciate our troops. Thank you. 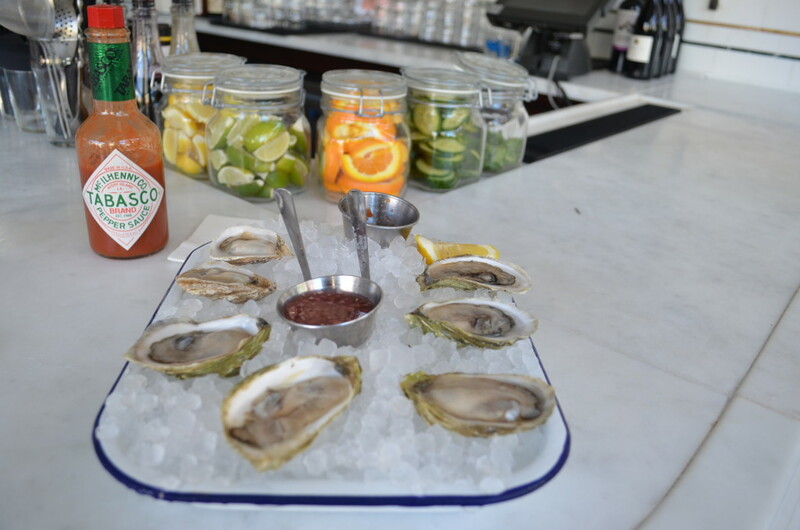 Memorial Day tends to also bring along with it other connotations – giant sales – and for me, the start of Oyster Happy Hour season. Throughout NYC many restaurants clear their sidewalks, put up umbrellas and open their windows to celebrate the art of the raw bar by offering $1, $1.50 and $2 oysters. Reveling in today’s 79°F sunlight, I partook in Wellfleet (Northeastern region of Cape Cod Bay, MA, Atlantic Ocean) and Kusshi (Pacific Northwest, Vancouver, BC) varietals, tastes spanning from coast to coast. 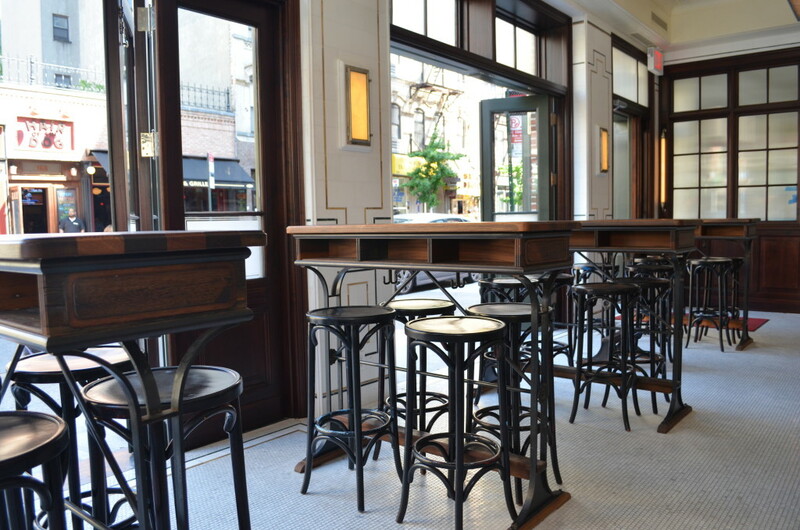 My favorite oyster bars in New York City are scattered throughout the West Village, at The Mermaid Inn or at Hotel Delmano in Williasburg. However, today found me on the Lower East Side and I meandered into Tiny Fork. The oysters were briny, some had shell remnants but overall, they were fine and shucked well. I tend to like my oysters with some pomp and circumstance – tell me about the size of the shell or the waters of origin. An OK slurp. 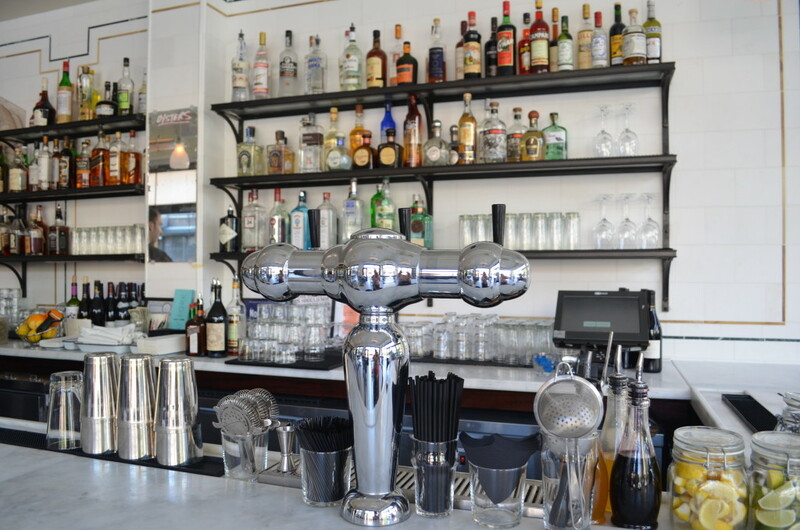 More than the food, I enjoyed the French cafe meets Nantucket schoolhouse interior design. Marble counter tops, classic barstools, black-and-white ceramic tiles (checkerboard pattern) and mercury mirrors. What better way to remind one’s self of the endless possibilities of summer and the glories of being alive? 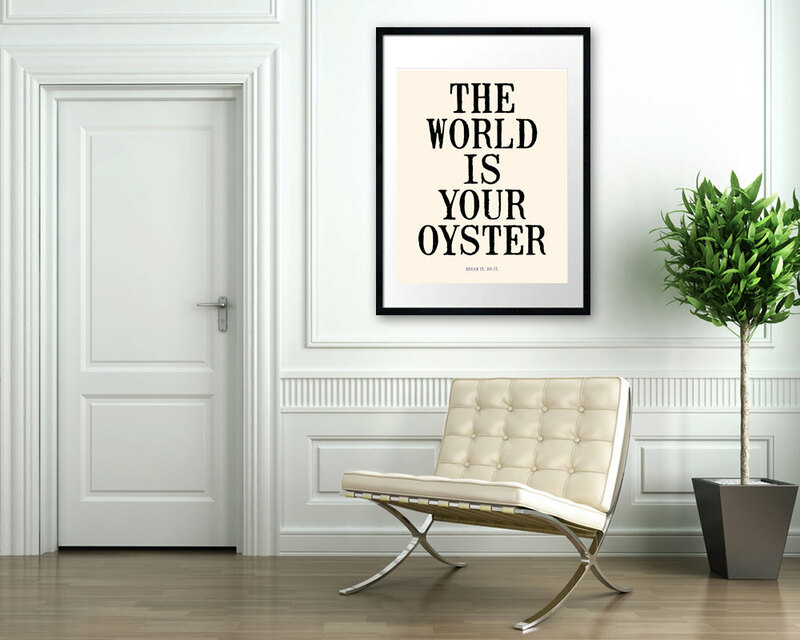 Hang a The World Is Your Oyster print in your living room via Etsy’s, The Love Shop. 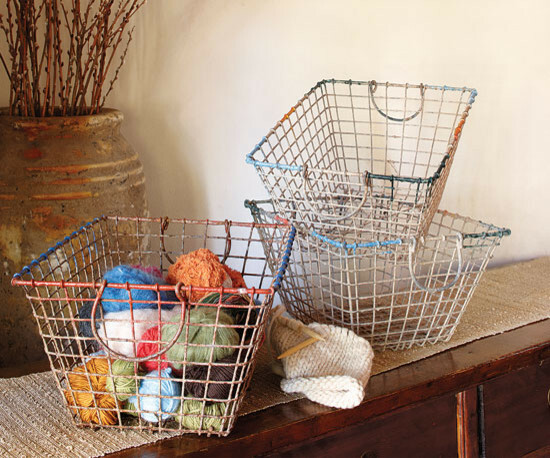 These Vintage French Oyster Baskets are from the ’30s or ’40s and add a subtle splash of color, and maritime history, to home storage via Napa Style. The oyster shell stamp on the small dishes are a washed cocoa and cream glaze or a watery green. 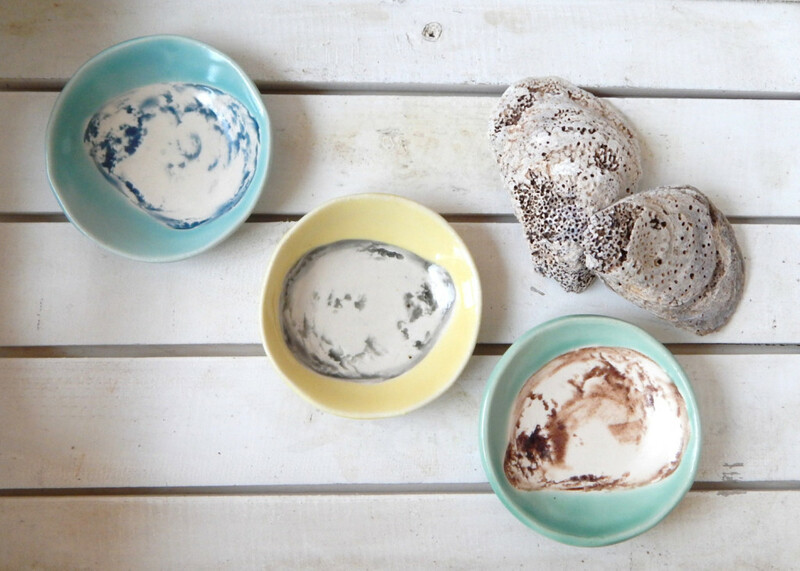 The teensy oysters are pressed into delicate porcelain via Etsy’s Edith Momplaisir.